County Executive Chris Abele, founder of the CSA Partners venture fund and Ward4 co-working space, was joined on the Entrepreneurship 101 panel by Digital Measures Founder and CEO Matt Bartel, Lizzibeth Owner Lizzi Weasler, RentCollegePads.com Founder and CEO Dominic Anzalone, and Milwaukee Bucks Manager of Business Strategy and Platform Development Jonathon Zuckerbrod. 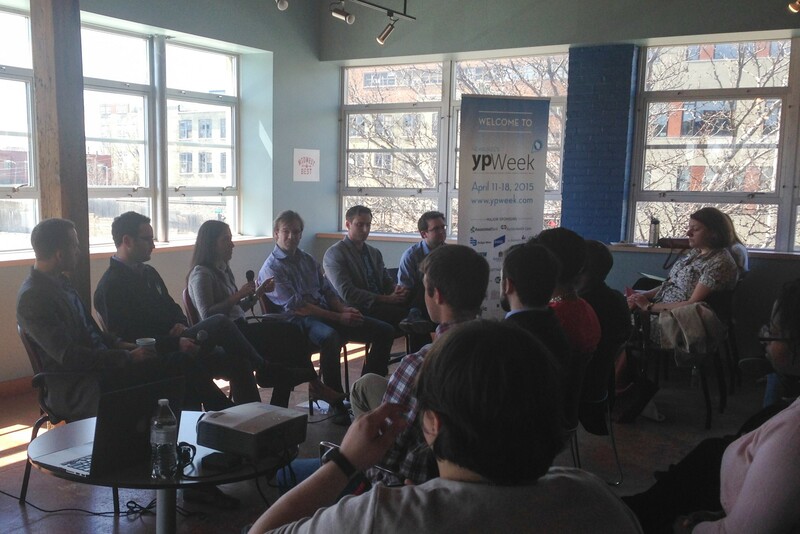 The panel was moderated by Matt Cordio, co-founder of StartUp Milwaukee, Skills Pipeline and The Commons, which hosted about 75 attendees in its new space in the Fifth Ward above Colectivo Coffee. It was one of many events that make up Young Professionals Week, an annual celebration of, well, young professionals that this year included events across Wisconsin, from Madison to Kenosha and Green Bay, among others. Cordio began by asking about the advantages to starting a company young—in Anzalone’s case, while still in college.